For more than 30 years, Ecole Nationale Superieure de Patisserie (ENSP) is the school of reference, in France and abroad, for professionals in pastry, bakery, chocolate, confectionery and ice cream arts. Founded in 1984 by the Confédération des Pâtissiers, the school, which has since been taken over by Yves Thuriès and Alain Ducasse, never stopped growing and became an emblematic figure of the pastry world. 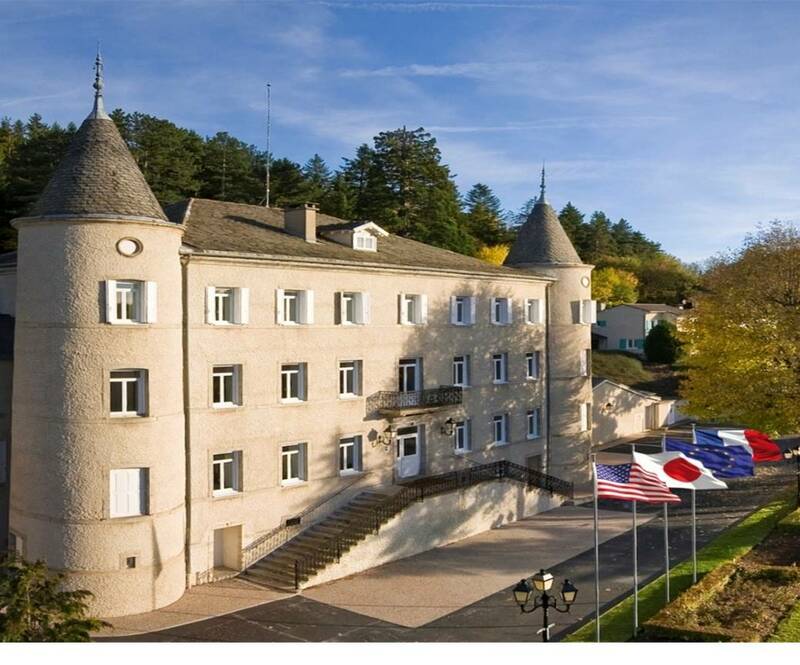 Located in the Château de Montbarnier, in Yssingeaux, in Haute-Loire (~80 miles from Lyon), the school combines heritage and modernity, charm and functionality, diversity and harmony. It has 8 ultra-equipped laboratories, an amphitheater, and recreational spaces. A unique and warm atmosphere fosters sharing and learning around the same passion. Classes are in English. Six programs are offered with specific start dates and fees: a Bachelor in French Pastry (3 years), a French Pastry Arts Diploma (7.5 months), a Superior French Pastry Arts Diploma (2 months). a French Chocolate and Confectionery Arts Program (2 months) a French Bakery Arts Program (2 months) and a French Pastry Campus Program (2 months). Program cost varies from €8,100 (2 months) to €34,800 (3 years). Internship is optional except for the first 2 programs (additional fee of €500). Accommodation is not included in program cost but can be provided either at the school or in the nearby town (single or shared apartment from €350 to €500 per month). Applicants must complete an application form and Skype interview with the school and, if accepted, complete the school registration forms and pay a nonrefundable registration fee. Please contact CICD at ip@cicdgo.com for a free school brochure with full description of each program.